While in Gdansk I had the opportunity to visit an important location in World War II history, a place that I had never heard about prior to my time in Poland: Westerplatte. Westerplatte is where the first battle of World War II took place, with Polish armed resistance fighting against invading German naval forces and Danzig police. 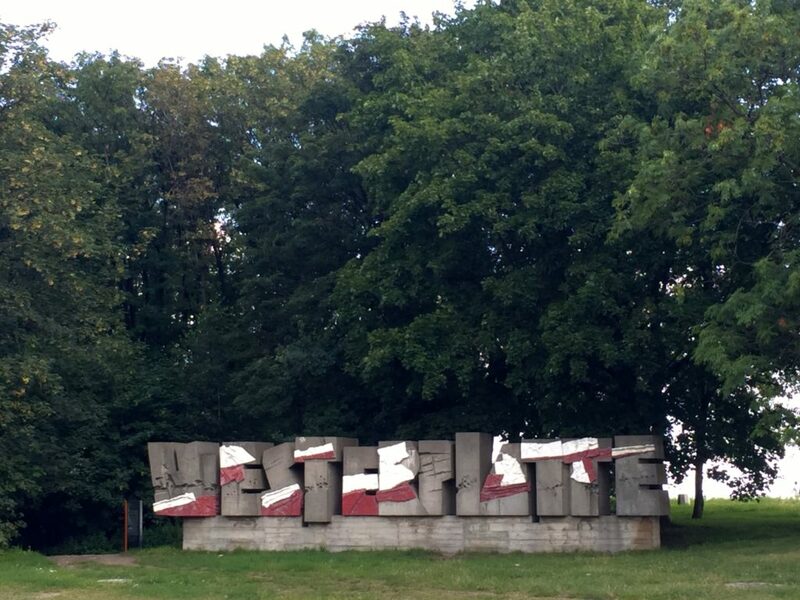 The tour I took of Westerplatte was interesting, mostly because I am interested in history. To get to Westerplatte from Gdansk I took a boat with my study abroad group. 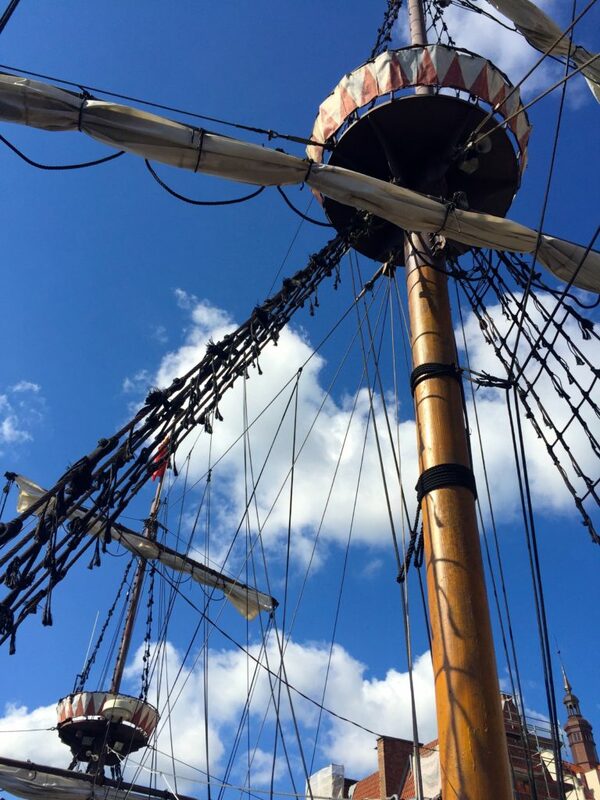 The boat ride took approximately forty minutes, and was fun as our group decided to travel on a ship designed to resemble a pirate ship. While obviously gimmicky and meant for tourist, I will admit it was more fun. The first location I visited while on the tour was an old guardhouse. This for me was the worst part of the tour, as we did not enter the guardhouse, rather just examined the exterior. The exterior was fascinating because bullet holes from the first battle of World War II are visible, but I would have liked to go inside as well. Near the guardhouse was a symbolic cemetery. 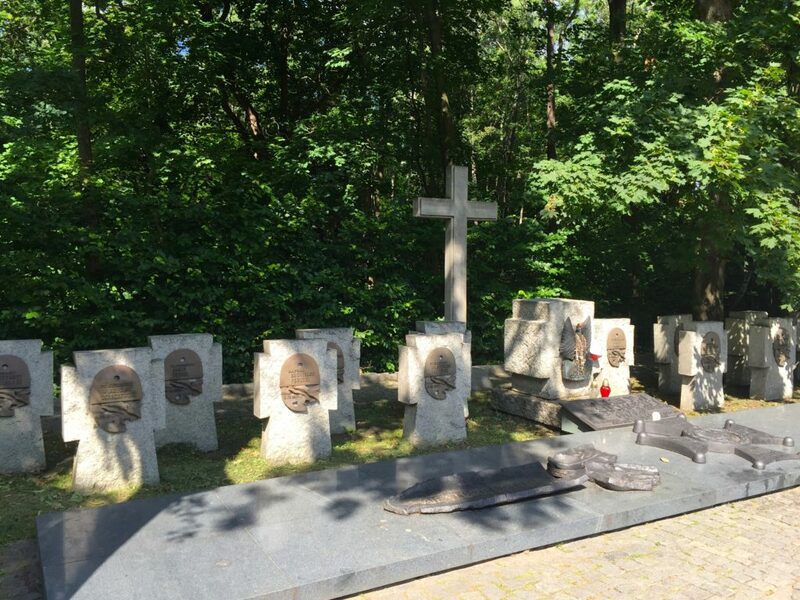 There were 15 graves, commemorating the men killed during the seven days of defense of Westerplatte. My favorite part of the tour was directly after the symbolic cemetery: the old headquarters, or more accurately, the ruins of headquarters. The headquarters was initially a two-story villa with very thick walls. It was used as a kitchen, as well as a hospital, during the outbreak of the war. While at Westerplatte I had the opportunity to walk throughout the ruins. Not only was this exciting, but it gave me the chance to see where everything would have been located had it still been standing today. The tour ended with the monument commemorating the Battle of Westerplatte and Polish lives lost throughout the war. 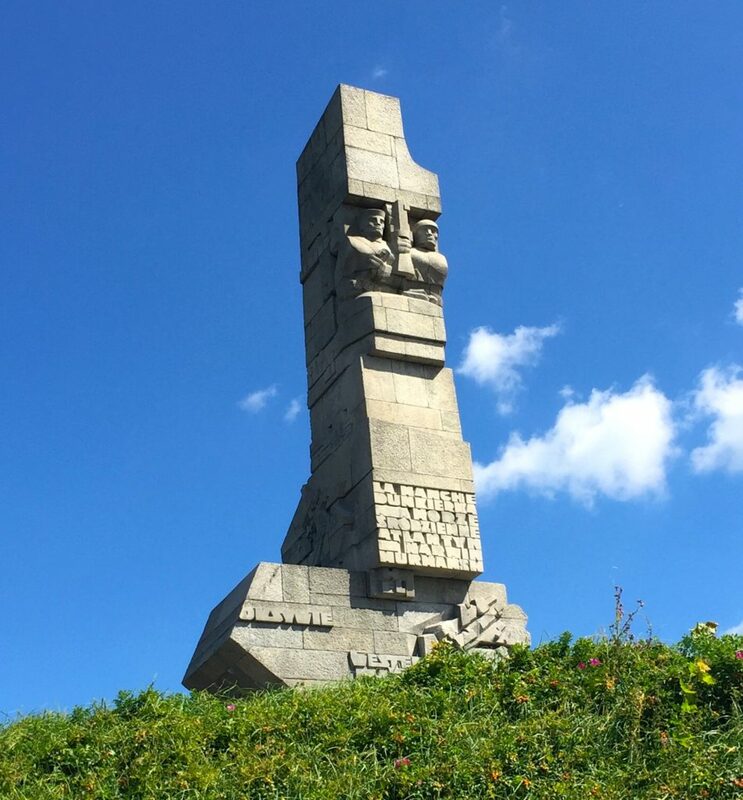 The monument itself was interesting, located at the top of Westerplatte, meaning it was possible to climb up to the monument and see a large portion of Westerplatte from above. Also interesting is the mistake on the monument: the name of the post office the Polish used throughout the war is written not in Polish, but rather in German on the monument. 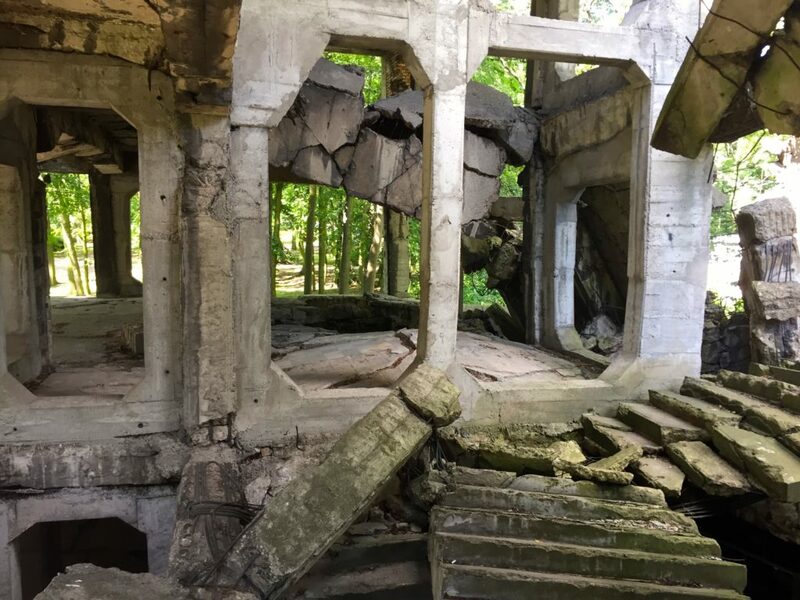 Overall I did find the Westerplatte tour was engaging, but it is not something I would do again, nor is it something I would recommend to anyone without an interest in history. But for those interested in history, especially World War II history, Westerplatte would be a shame to miss. This entry was posted in Europe, History, Travel and tagged gdansk, history, Poland, westerplatte, world-war-ii. Bookmark the permalink.